Just as someone new joins Supernatural, someone leaves. 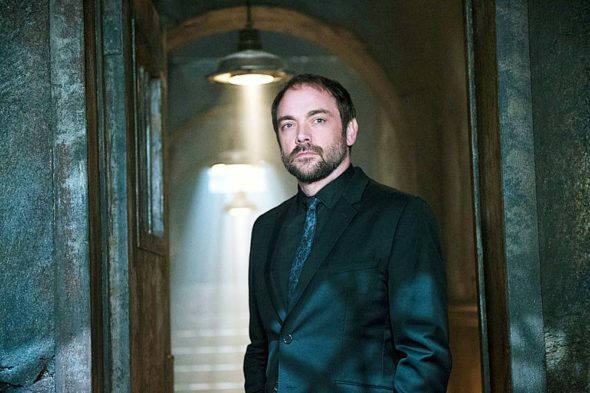 Recently, cast member Mark Sheppard confirmed he is not returning to the CW TV show for season 13. Sheppard plays Crowley on the long-running drama, which follows the two Winchester brothers as they fight paranormal forces. Sheppard joins the show in season five. The cast also includes Jared Padalecki, Jensen Ackles, Misha Collins, and Mark Pellegrino. What do you think? Are you a fan of Supernatural? Are you sad Sheppard is leaving? More about: Supernatural, Supernatural: canceled or renewed?, The CW TV shows: canceled or renewed? Mark Shepard as Crowley was the demon we loved to hate. He was a key member of the cast. I still love the series and would watch it until Sam and Dean’s hair is grey given the opportunity. But Crowley was a huge loss to the show. Please bring Mark back as Crowley if it is at all possible. are you kidding.?? mark is a big part of, SUPERNATURAL.!!! it looks like season 13 is it, for this show.!! wow no crowley, whats the point.??? I think it’s horrible, that mark is not returning. I love his character, mark is a great actor. I really hope it’s a prank & he’s coming back.